As most of you already know, the city of Berkeley — once primarily known as a haven for political activists and radicals — is now mostly home for a burgeoning population of, um … let’s say eccentrics. They also learn how to perform a “house healing” wherein the bad vibes of a house are replaced with good ones. We strongly encourage you to watch the video clip  so you can see how these kindergarteners are putting their teachings to work during a particular house-healing in Oakland. Notice how quick they are to pick up the bad energy in one of the bedrooms. Honestly, it couldn’t have been that hard — did you see that carpet? Yuck! If you think this all sounds kinda silly, do you think Jesus and the Bible are silly? 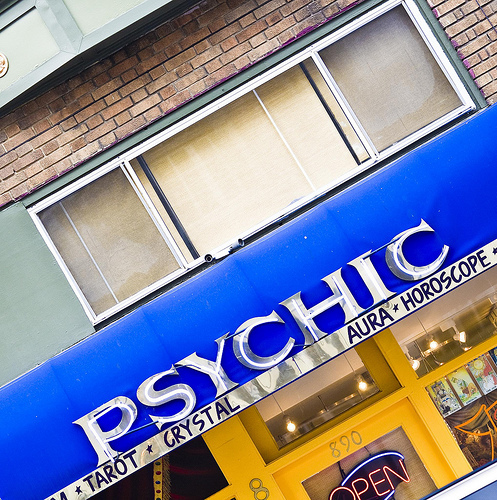 Because the Berkeley Psychic Institute is affiliated with the Church of the Divine Man,  whose teachings are “based upon the Scriptures and practice of the teachings of Jesus Christ.” So if you laugh at them, you’re laughing at Jesus and, by default, going to hell. So who’s behind all of this? Well, it was the late Dr. Lewis Bostwick, “a natural aura reader who saw a rainbow of colors surrounding people and who had a gift of healing.” Seriously, don’t laugh! All jesting aside, we’re proud that our city hosts such establishments, and we even recommend that you check it out. You might learn you had some hidden psychic abilities whilst feeling all the good vibes … or you’ll at least have a good laugh when someone tries to cleanse your aura.